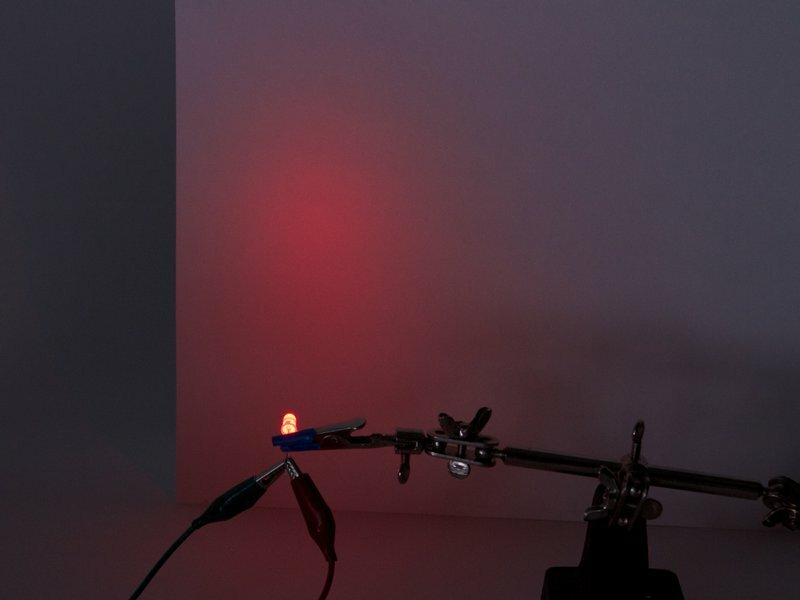 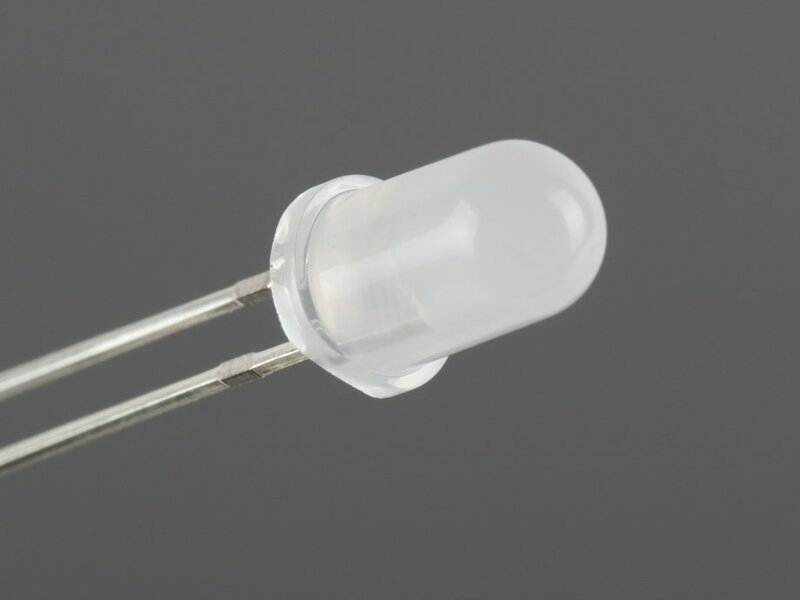 General-purpose 5 mm ("standard size") ultrbright red LEDs with an untinted (milky-white) diffused lens. Very bright, good for viewing indoors and at wide viewing angles. 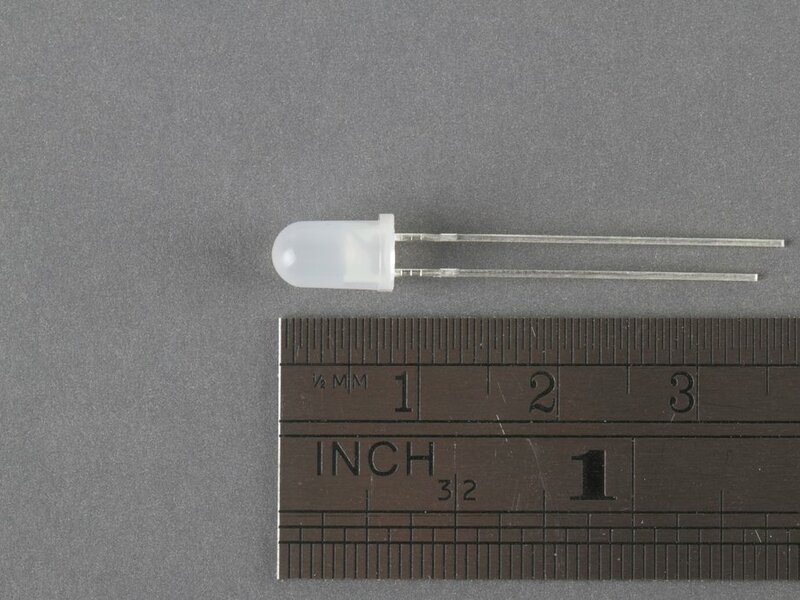 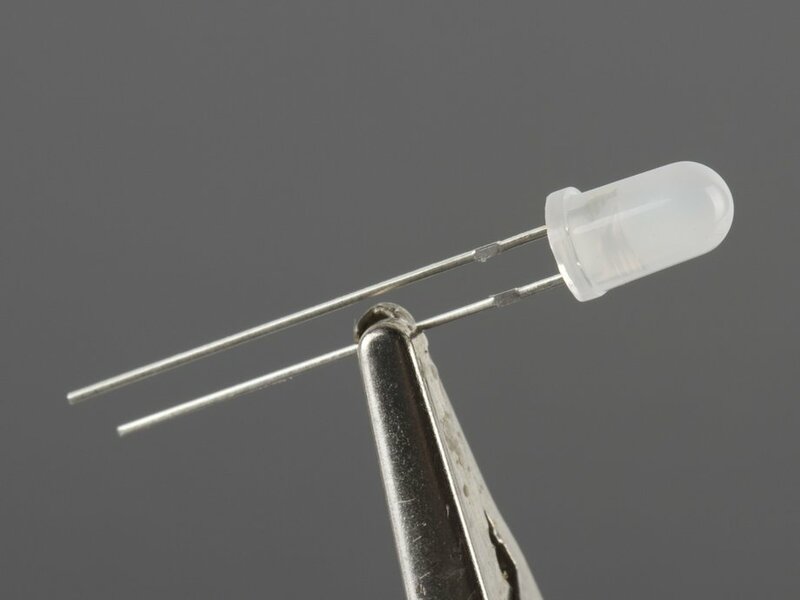 This LEDs is very similar to our other 5 mm LEDs except it has an internal chip that varies the brightness randomly, giving the LED a "flickering" look. 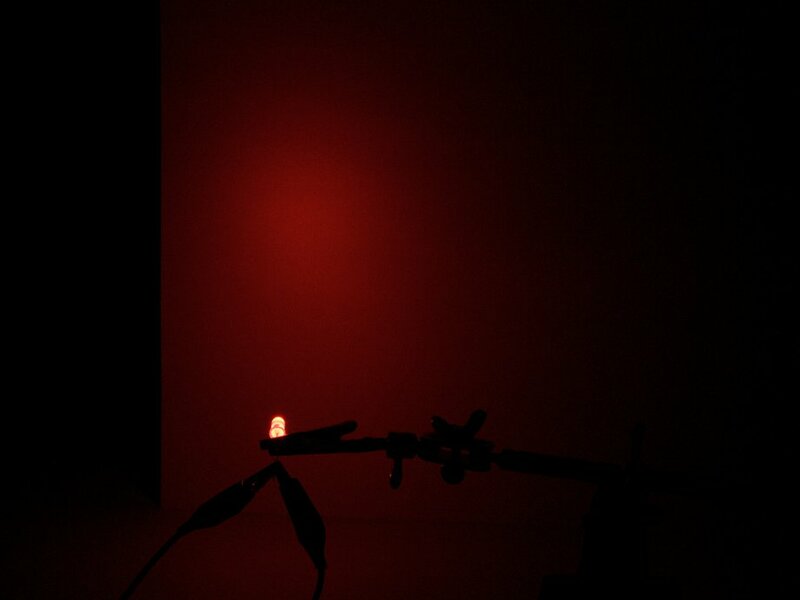 These are an ideal alternative to candles in decorations and displays.